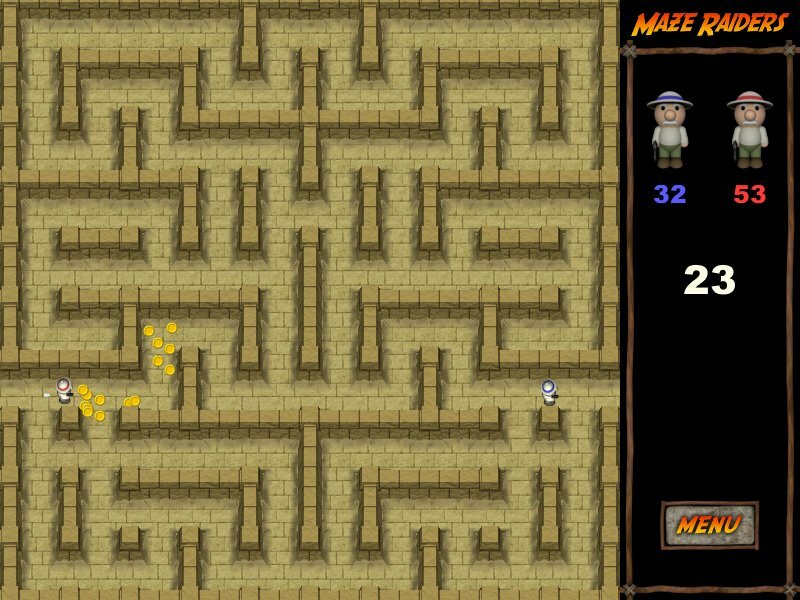 The objective of the game is to run around in a maze and collect more gold coins than your opponent, and to shoot him and steal his coins. 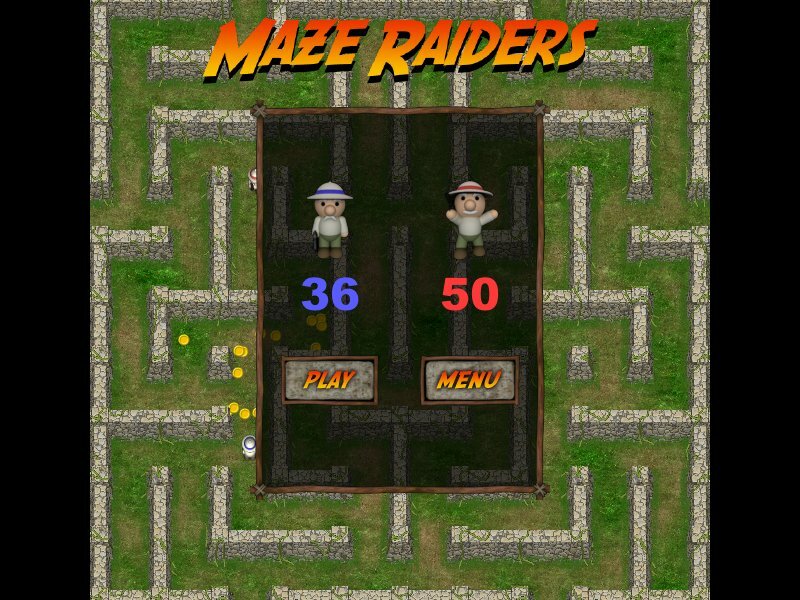 Maze Raiders was made as an exam project for a class in using computer tools at the University of Aarhus. Play this fun two-player game. Use all means to get the gold coins! The menu screen beautifully rendered by my team-mate. Shoot your opponent and have him lose 15 of his coins, which you can then collect. There are gates that connect the left and the right side of the level, and the top and the bottom. Run through the gates and use them as shortcuts, or shoot through them to take your opponent by surprise! 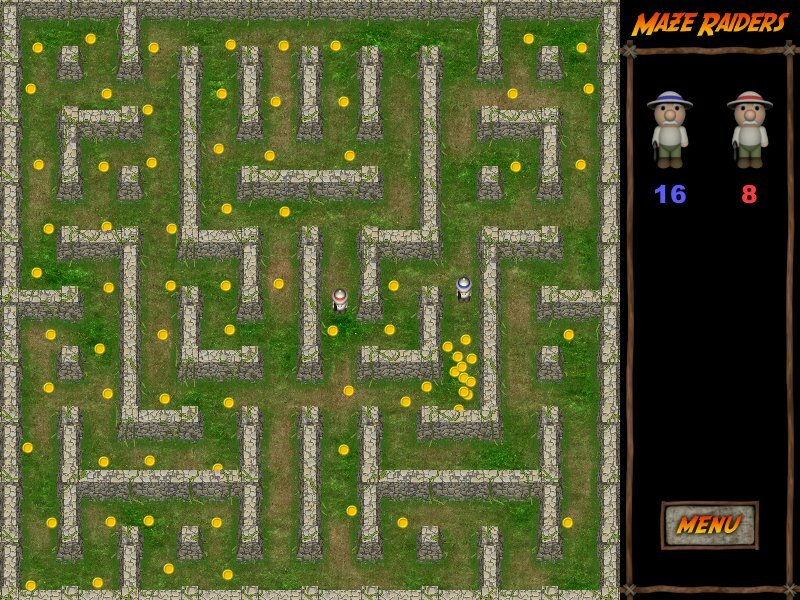 The a new randomly generated maze every time you play! Two different scenarios - jungle and pyramid! When all coins are collected a countdown begins. You still have 60 seconds to change the situation! During the countdown the player with fewer coins run faster then the other, so there's no escape! The status screen with the winner and the loser. Did you lose? Then play again and have another go! 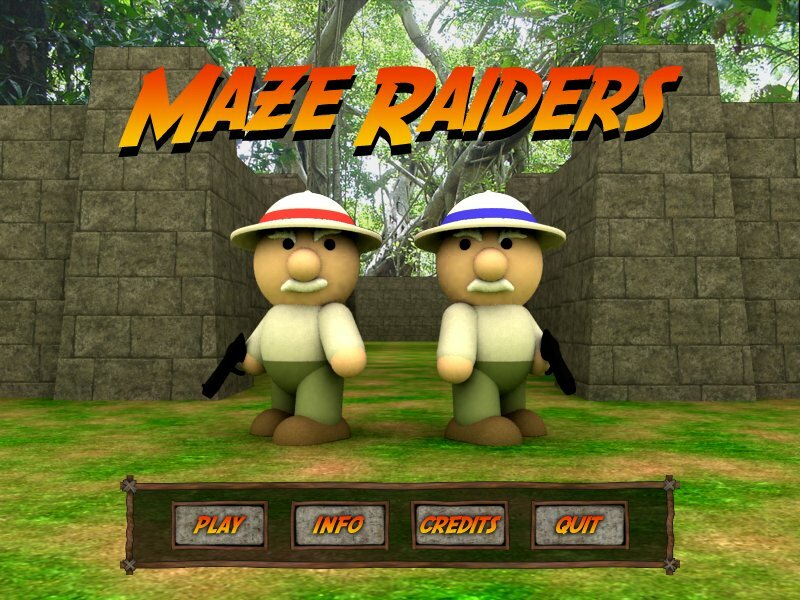 The game is made with Macromedia Director and the graphics are made partly in 3d Studio Max by one of my team-mates Kasper Raahauge Carset (www.kasrc.dk) and partly in POV-Ray (by me). POV-Ray was used to create the graphics in the game itself (not the splash-screen etc.). Due to the scripting abilities I could create a single image containing both players from all four angles, in all eight states of the animation cycle, and this was most useful. 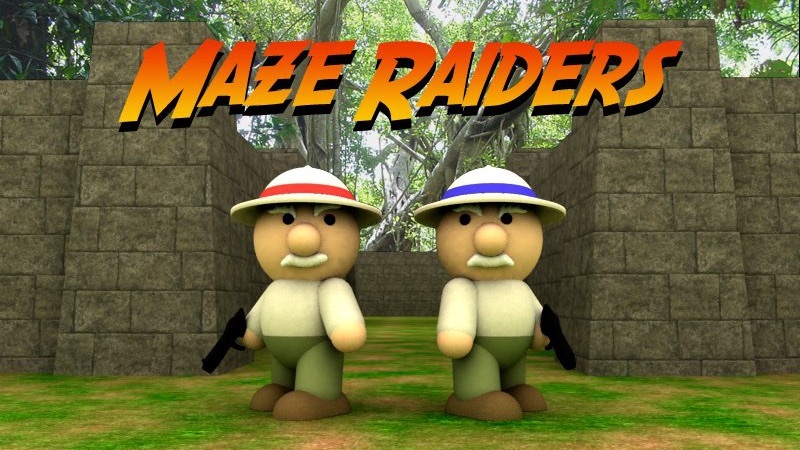 The walls in the maze are stitched together from 16 different types of pieces, and these could likewise all be rendered in a single image due to POV-Ray's pixel-perfect control and rendering. Furthermore POV-Ray could easily handle the sheared perspective used in the game by applying a matrix to the camera. The larger graphics with more details visible were made by my team-mate in 3d Studio Max where modeling is easier.